It was nearly 11 p.m. on a Monday night and Los Angeles’ oldest fulltime jazz club, the Baked Potato, was at standing-room-only capacity. Six musicians dressed in T-shirts crowded the small stage amid the garage-chic décor of promo photos featuring long-defunct bands. The sextet performed a blistering version of the Allman Brothers’ “Whipping Post” and embarked on a more subdued journey via Joe Zawinul’s “In a Silent Way.” Bookended by electric guitars and propelled by drummer Danny Carey, best known for his work with the alternative-metal band Tool, saxophonist Doug Webb stood in the middle of the tornado, blasting his horn with as much strength as his heavily amplified friends. Twelve hours later Webb was due for a commercial studio session. By the end of the week, he was in Texas teaching clinics and working with a big band. Though born in Illinois, Webb moved with his parents to Southern California at the age of 3. He played his first paying gig at 13 and has never looked back. Along the way, he picked up a degree from Berklee College of Music and worked with some of the most important jazz instrumentalists of the 20th century. His playing has appeared on more than 1,000 recordings, from honking television themes to soaring cinematic scores. Through it all he has also honed a strong personal sound that harkens back to tenor giants like John Coltrane and Dexter Gordon. Yet only in the last decade has he begun to seek out the spotlight. That kind of feet-to-the-flame education proved to be invaluable. “I would play everything I knew at every gig and then he would proceed to blow me away with one note. Sometimes I was too terrified to really enjoy the moment.” They played together until Hubbard was sidelined by health issues in the early ’90s. But bassist Stanley Clarke did. 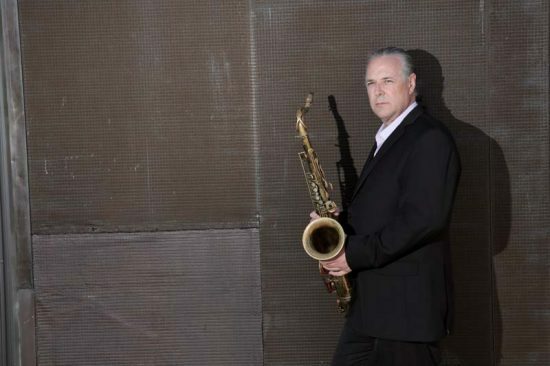 Webb has been a regular member of Clarke’s ensemble for decades, blitzing through his band’s breakneck arrangements on recordings and on stages around the world. For several of Webb’s albums as a leader, including the Posi-Tone releases Renovations and Midnight, Clarke returned the favor and joined in as a sideman, filling out a hard-swinging rhythm section with pianist Larry Goldings and drummer Gerry Gibbs. The results are a rare opportunity to hear Clarke work through time-tested standards. Up a winding road and into the tight confines of the Hollywood Hills, Webb has a modest house amid the movie-star estates and uncommonly woodsy air. Webb lives there with his wife and the sprawling paraphernalia of a working musician. When I visited in March, a neck strap hung on the coatrack; boxes of reeds were stacked like Jenga pieces. A back room was loaded with books, mouthpieces and a few prized press clippings. The stereo was playing the rough mixes for Webb’s next release, a quintet session of mostly originals, recorded in New York last year. Webb released his first album as sole leader at age 47. Several close calls earlier in his career didn’t pan out, and before he knew it he had enough session work to keep the lights on. “I wanted to make sure I had something to say,” Webb remarked about his eventual debut. Since then he’s talked a lot. Webb has released nearly an album a year and has plenty of material in the can for future product. His partnership with the venerable Posi-Tone label has been fruitful. Last year, he contributed two albums to the label’s mostly straight-ahead discography. Back East features a boisterous quartet burning through a handful of Webb originals and a few choice standards. The second CD features a three-tenor frontline recorded in Brooklyn, pitting Webb against Walt Weiskopf and Joel Frahm. Triple Play is aided by the two-man rhythm section of organist Brian Charette and drummer Rudy Royston. But the album features carefully crafted takes from all three saxophonists, stepping well beyond the expectations of a traditional tenor battle. The three musicians are clearly on the same team, with a shared goal and a scorecard that is a tangle of timing and swagger. But Webb does record on the West Coast too. His V.S.O.P. quartet release Sets the Standard pairs him with pianist Alan Broadbent, a more sensitive foil to his muscular horn. With bassist Putter Smith and drummer Paul Kreibich, the group works through a set of familiar tunes, presenting a more relaxed side of Webb’s musicality that doesn’t often pop up on his New York recordings. In a windowless upstairs room of Webb’s house, a museum of weathered instrument cases protected a vast and unique collection of woodwinds. In no particular order, Webb recognized the obscure ethnomusicological artifacts and where he put them to work. A bass ocarina elicited a raspy hum that he used for Lifestyles of the Rich and Famous. A set of Chinese reed instruments provided a Far East twang for Clint Eastwood’s Gran Torino. Smurfs and Minions waddled around to even more otherworldly horns, twisted into impossible fingerings and even stranger tunings. Webb picked out a dulled, unidentifiable pewter horn and summoned Coltrane’s “Mr. P.C.” with a squawk. “I’ve got about 17 repair people,” he joked.